COLOMBO: It was a historic day for Pakistan scrabble contingent taking part in the 6th Sri Lanka International Scrabble Championship when its youngest member, nine-year old Hasham Hadi Khan, created a new world record by scoring an eye-popping 878 points against Matheesha De Silva of Sri Lanka. According to the Guinness Book of world records the highest score ever recorded in a scrabble match was made by Toh Wei Bin of Singapore who scored 850 against Rick Kennedy of Scotland in 2012. No score of 800 plus has been witnessed in an international tournament. Poor Matheesha was reduced to a mere spectator as Hasham threw a flurry of bingos while cleverly challenging off all invalid words that Matheesha tried in a desperate attempt the reduce the deficit. 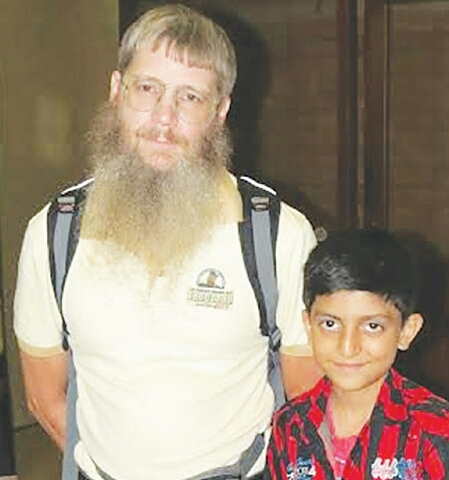 Around 80 of the world’s best players were witness of the spectacular show of vocabulary and tactical skills by a nine-year-old who is hailed as the next big sensation in scrabble. Reigning world champ Nigel Richards personally congratulated Hasham on his record while modestly mentioning that he himself has never gone past a score of 700 in a major event. Hasham playing his first ever international tournament will represent Pakistan at the World Youth Scrabble Championship which starts Aug 29. Meanwhile, day two of the 6th Sri Lanka International Scrabble Championship was dominated by a New Zea­lander but it wasn’t the world champion Nigel Rich­ards but his compatriot Howard Warner, who is on top with 15 wins and a spread of 1,223. India’s number one player Sherwin Rodrigues is curre­ntly second with 14 wins and a spread of 1,261.